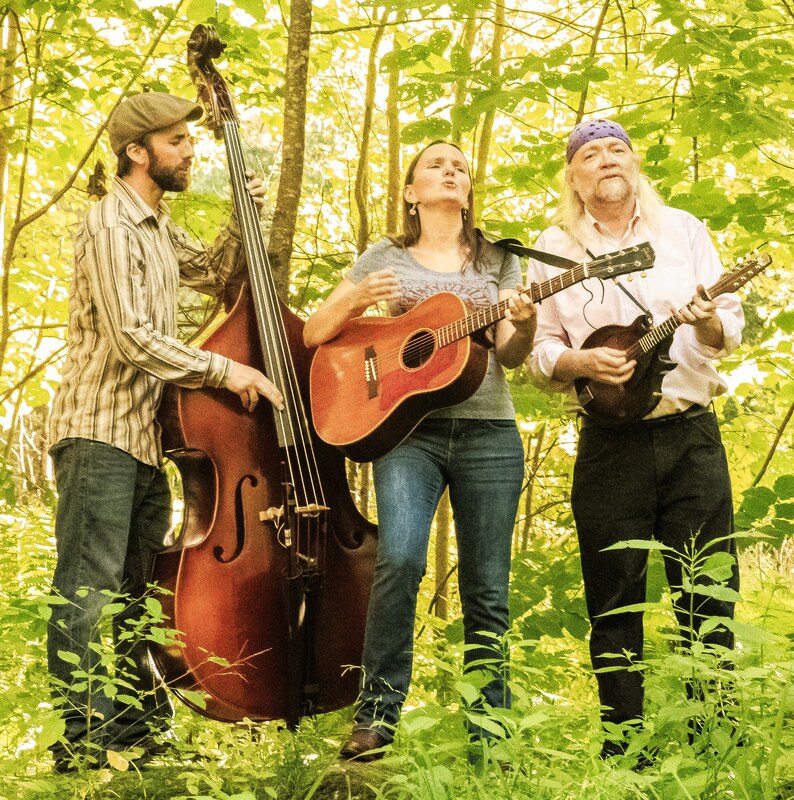 The Heather Pierson Acoustic Trio, on tour from New Hampshire, is a rare bunch. Three musicians from 3 very different backgrounds bring their skills, quiet charm, & a refreshingly down-to-earth honesty that bring to life the sounds of the streets of New Orleans & the valleys of Appalachia. Their recordings (2015’s Still She Will Fly & 2017’s Singin’) & live performances, feature Heather’s multi-genre songwriting, their instrumental virtuosity, & stirring, 3-part vocal harmonies. Heather & event host, Barbara Gail, go way back…. While living in Maine in 2000, Barbara joined The Leah Wolfsong Band, where she met Heather, who was a already a member. Leah described Heather as having ‘pure vocal tone’. But within a year, Heather took off to pursue her own musical career… And wow has she flown! Nearly 20 years later, Barbara & Heather were serendipitously reunited this past August, while Jeff & Barbara were vacationing in The White Mountains & stumbled upon Heather’s name in lights at the Medallion Opera House Performing Arts Center in Gorham! Heather Pierson (lead vocals, acoustic guitar, ukulele, tenor banjo, piano) is an award-winning singer/songwriter, pianist, & performer. With eight previous solo recordings under her belt, Heather’s wise-beyond-her-years songwriting, angelic voice, & world-class chops have catapulted her into the spotlight. Davy Sturtevant (cornet, dobro, fiddle, mandolin, harmony vocals) is a veteran touring artist, producer, engineer, songwriter, & performer. Armed with a gorgeous tenor voice & a mighty arsenal of instruments that come to life in his capable hands, Davy is at once a witty, thoughtful, & engaging musical presence. Shawn Nadeau (bass, U-Bass, harmony vocals) brings a rock solid thump & nearly two decades of performing experience to the trio, informed by a wide spectrum of unique rhythmic & melodic sensibilities ranging from rockabilly to reggae to jazz. Reserve your seat, Call 941-966-5800. $15 advance; or $20 the day of. Refreshments, as always, will be served.